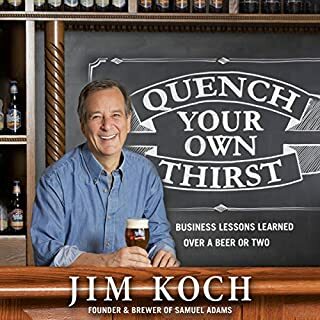 Is this a book for beer aficionados or business enthusiasts? Both, and it's as refreshing as a cold brew. 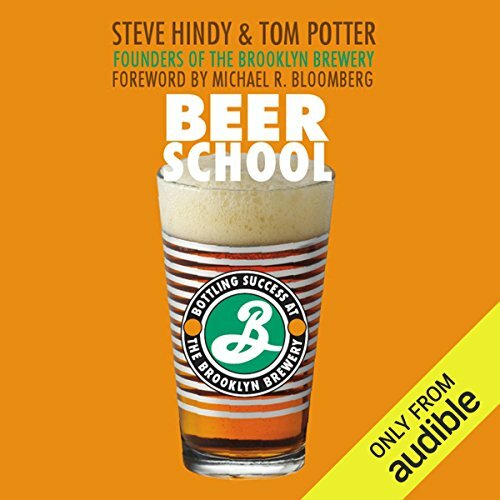 In Beer School, authors and entrepreneurs Steve Hindy and Tom Potter share the improbable saga of Brooklyn Brewery, the company they grew from a home-brew hobby into a multimillion-dollar business - all in the most competitive beer market in the United States. From the beginning, the odds were against Steve and Tom. It's estimated that eight out of ten businesses fail in their first year. Yet these entrepreneurs succeeded in a competitive arena dominated by mega-corporations and mega-money. The brew they began making in a Brooklyn brownstone over 20 years ago is now sold around the world. Their story, recounting the fears and obstacles they faced and the decisions and successes they shared, will inspire you. Like discovering the perfect brew or starting a business, reading this book is a heady experience. Cheers! ©2007 Steve Hindy and Tom Potter (P)2009 Audible, Inc.
Would you try another book from Steve Hindy, and Tom Potter and/or Steve Hindy, and Tom Potter? I would if they didn't narrate it. If you’ve listened to books by Steve Hindy, and Tom Potter before, how does this one compare? What didn’t you like about Steve Hindy, and Tom Potter’s performance? Steve Hindy trips over his own words (that he has written himself!) and has very strange cadence. Tom Potter does make up for it a little bit, but not enough to save this book. 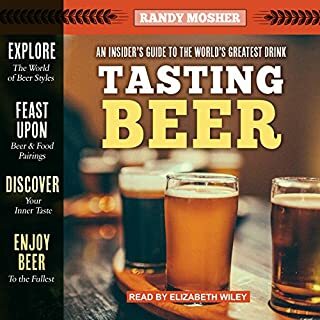 Do you think Beer School needs a follow-up book? Why or why not? No, it is a complete story of the Brooklyn Brewery for Tom and Steve. A great story and a classic example of why you should NEVER allow the authors to read their own books! Tom almost put me to sleep every time he opened his mouth! I like beer, I'm not really interested in starting a publicly traded multimillion dollar business. I did still find the book interesting and learned about the risks and drive in the business world. Definitely deterred me from starting any type of business. I run a small one man painting business. That's good enough for me, don't have to worry about funds to people to hire/fire. Book also gave a lot of incites to working in a business relationship between two people. So if you and your buddy are thinking about starting a business together this would be a very enjoyable business book to read together about a fun product. 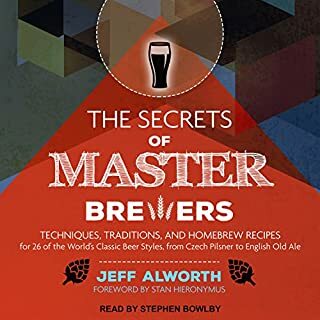 If you love beer and want to learn about beer making, or if your a home-brewer (like me) and are thinking about selling a couple bottles (vs. starting a huge beer making business) this is not the book for you. 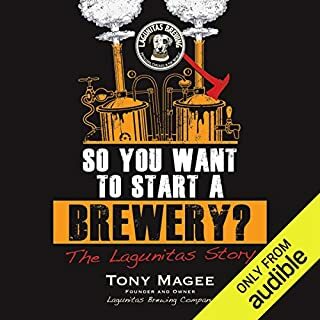 But if your thinking about starting a large brewery or any type of large company this is a very good book for that. 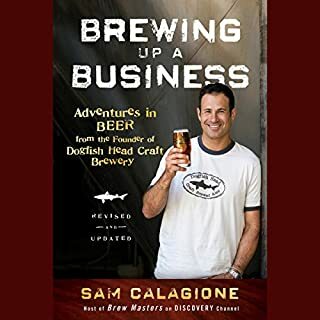 This is a great business book , although the topic is about beer - there is really no brewing advice in this book. They give an over all information how there business grew & was sold for them - If yo like business books grab this one. Good info/story, needs pro narrators. I had to fight through some of this book due only to the narration. Overall, the story is good and worth your time. The man who read Steve's part was not the best to listen to; very disappointed with that. I love it when the authors read their own book. It was nice to hear the two prospectives. lacked detail brewery info I was looking for. Great marketing and book on business. NYC location makes for good story but not good example for most situations. Great story but a wicked piercing tooth whistle!! Great story from these guys but Steve's wicked tooth whistle made it painful to listen to, even after turning the treble down in m car. A shame really since its so easily filtered out if audible was paying attention. 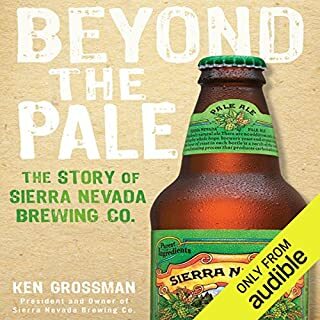 I was really interested to hear this book, and discover how the now iconic Brooklyn Brewery came about. The story did just about hold my interest, and gave an interesting insight into how a couple of visionaries with the strength of conviction believed they could create something from nothing. The book is sadly let down by narration which severely lacks soul. Read with more gusto, this could have been a much more interesting listen. Great content and very helpful both in business and beer. The major downside is it is poorly narrated by Steve Hindy making it a chore to listen to.